A Safe & Happy New Year to you all and here’s to a prosperous 2005 for everyone. 54 people from various disciplines attended this one-day event at Hort Research in Auckland on the 24th November. Laurence Eyres (Chairman) commenced the day by discussing processing methods and quality outcomes and re-emphasized the need for GMP (good manufacturing practice) and hygiene in the plant. 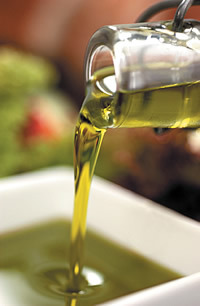 The key parameters for quality of high value oils are exclusion of oxygen and removal of water and solid material. Mechanisms of rancidity and flavour were discussed and practices for avoidance were laid out. A shortened version of the powerpoint presentation is on the website. John Harpin then discussed the classical analyses for oil quality such as Free Fatty Acid level, Peroxide Value level, Fatty acid composition and shelf life prediction. John’s updated table of typical fatty acid compositions of various oils and fats can be found on the group’s website. An Auckland University PHD student, Sagar Katvi then showed some novel analyses of olive oil using the Iatroscan. This technique separates and visually identifies lipid classes by automated thin-layer chromatography. Ellen Friel of Hort Research then gave a fascinating talk on instrumental analysis of the flavours in culinary oils. 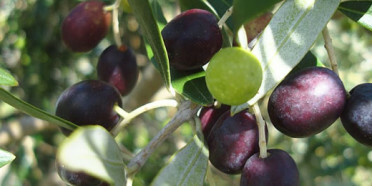 The technique used (Gas Chromatography/Mass Spectometry) shows great promise and in the years to come will help to characterize and identify olive oil varieties when coupled with classic sensory techniques. John Ellegaard of Olivado gave a “user-friendly” guide to the overseas marketing of high value specialty oils with particular regard to avocado oil. Michael Fountain of Trade New Zealand followed this up with a guide to government assistance for exporters. Professor Lynn Ferguson of Auckland University then reviewed the history, orthodox views and emerging facts on the role of dietary fats and oils on human health. Some fascinating recent work was reported which effectively contradicted some of the traditional views on saturated fat and coronary heart disease. The whole afternoon was then devoted to an enjoyable “hands-on” approach to the sensory analysis of culinary oils led by Cynthia Lund, Margaret Edwards and Lisa Duizer, the participants slurped their way through a variety of oils and learnt very quickly what constituted a “good oil”. An excellent platter and quality wines finished off an informative and enjoyable day. Now updated to include an updated table of the typical fatty acid composition of common and uncommon oils and fats. Also the IFST statement on trans fats (19/11/04) is available on the website. Suggestions and recommendations for the website will be gratefully received by the committee. The dangers of over consumption of vitamin A were spelt out in a recent TV documentary. The programme showed that Sweden has high levels of osteoporosis now found to be due to that country’s very high consumption of vitamin A in the form of pills and supplements – a wake-up call for everybody with regard to vitamin supplementation. The UK’s Institute of Food Science and Technology (IFST) has published an updated statement on trans fatty acids (TFA). This is in response to the current nutritional controversy over these common compositional ingredients of common shortenings. The IFST says that, whilst there is no evidence of risk at current levels of UK dietary intake, it supports the WHO recommendations for a reduction in dietary fat produced by chemical hydrogenation of vegetable oils. Australasia would have a lower intake to the UK.